does this work in fogger, like outdoor insect foggers, or is direct spray best, for powder post beetles. Have beetles in basement but none noticed in house. Must I fog whole house or just basement /crawl space? Which insecticide do you recommend. Bora Care is a direct wood application. It has be sprayed, rolled or brushed onto infested bare wood. It cannot be applied to wood with paint, stain or sealants of any kind as this would stop the saturation of Bora Care into the wood. It is also not suitable for fogging. 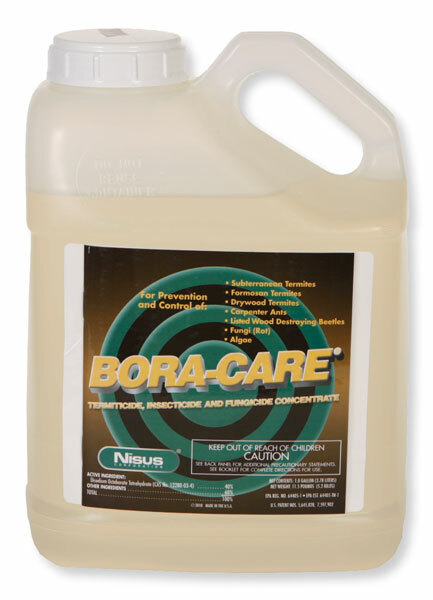 Apply Bora Care to the point of run-off and then let dry thoroughly. Again apply only to bare wood. For most applications, Bora Care is the best and only treatment available to homeowners for Powder Post Beetles.